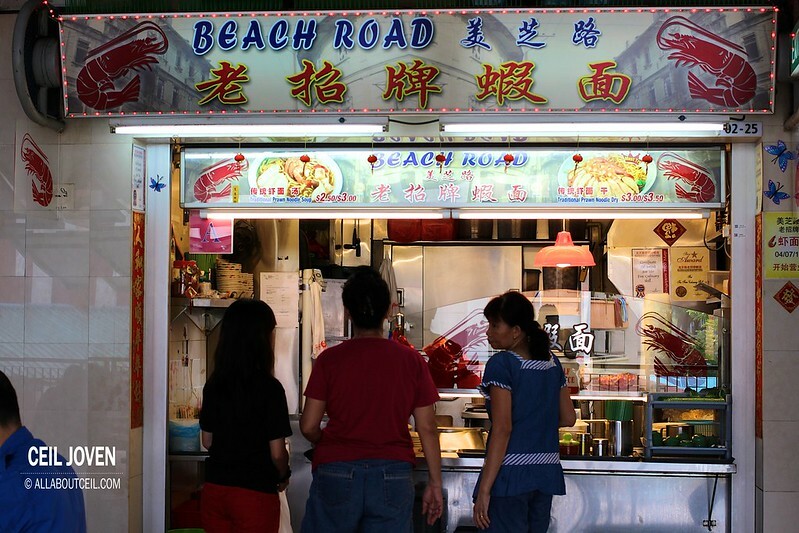 This stall is nicely tucked away at a corner of this food centre. Though not too prominently located but there were quite a few customers when i was there for lunch. I joined in the wait and ordered a $3 bowl of dry version of Prawn Mee Pok. As self-service is expected so i waited there for my bowl of mee pok to be served. The chilli powder was available there for self-service too. I sprinkled just a little as i have no clue of its level of spiciness. 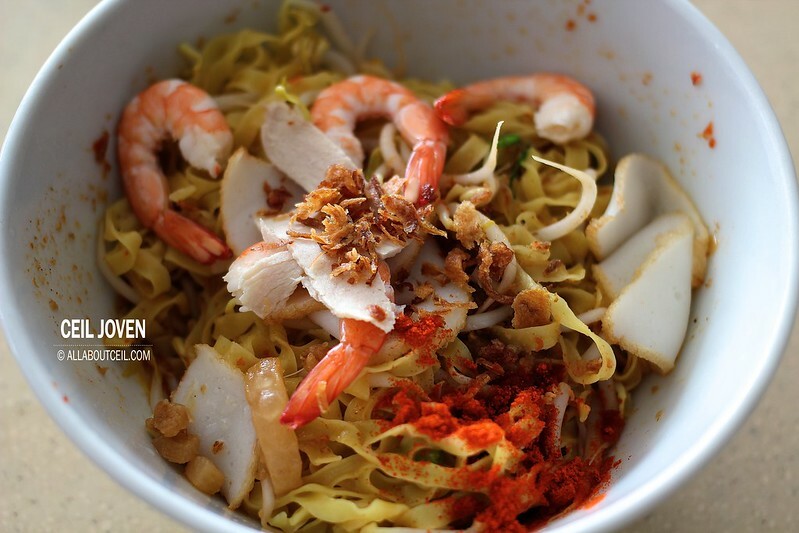 A good portion of mee pok was served with 4 pieces of fresh tasting small-sized prawns together with a few slices of lean meat and fishcake topped with a handful of dried shallots to serve. 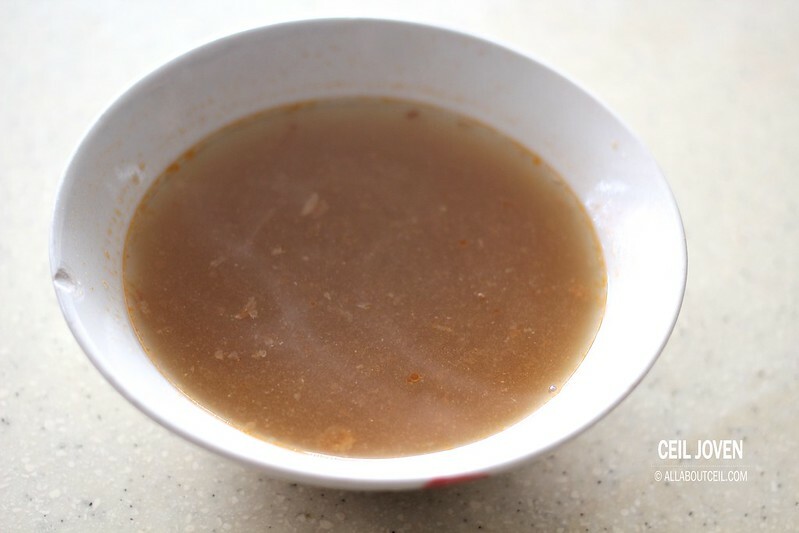 The soup that came along has got a pretty distinctive taste of prawn. 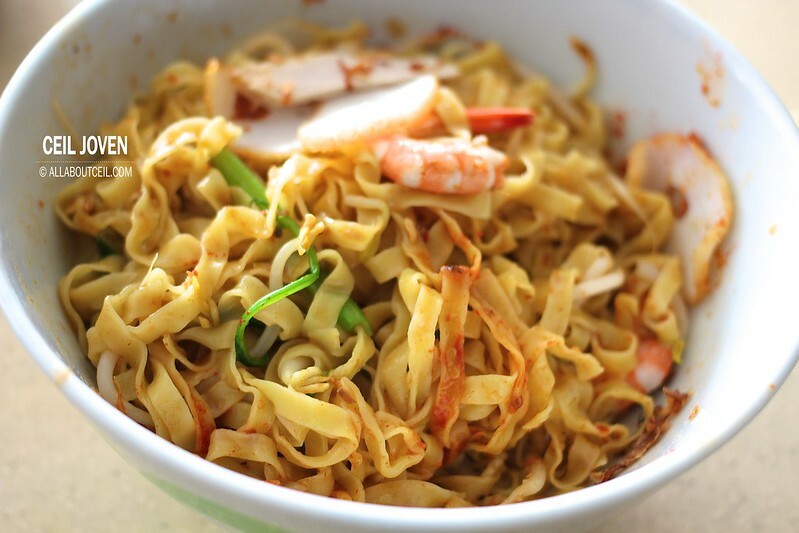 The mee pok was nicely tossed to mix with the sauce well to give it the flavor. The level of spiciness was pretty mild. 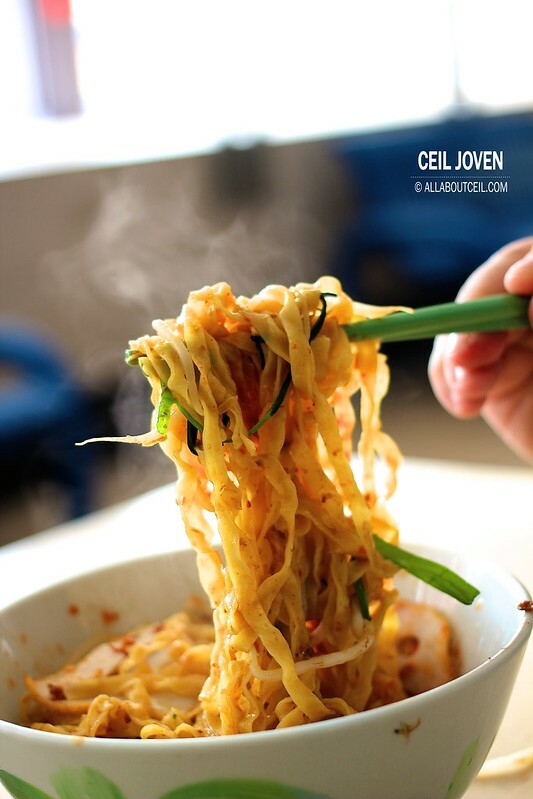 It was served with bean sprouts and kang kong to give it a better texture. The mee pok was cooked just right to give it the delightful softness with a desired chewiness to give it the satisfaction. 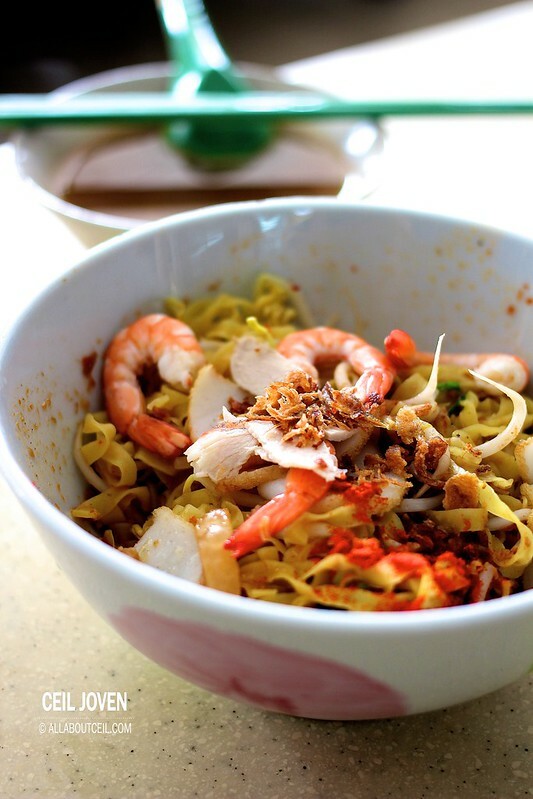 This was a bowl of pretty average tasting Prawn Mee to satisfy my crave temporarily. 105 Hougang Avenue 1 #02-25 Hainanese Village Centre SINGAPORE 530105.